The most interesting and comprehensive facts and pictures of different types of ducks including their habitats, diet, physical appearance, and behavior. Duck is actually a common name given to the species that belongs to the family of birds, Anatidae. Swans and geese also fall under the same category. 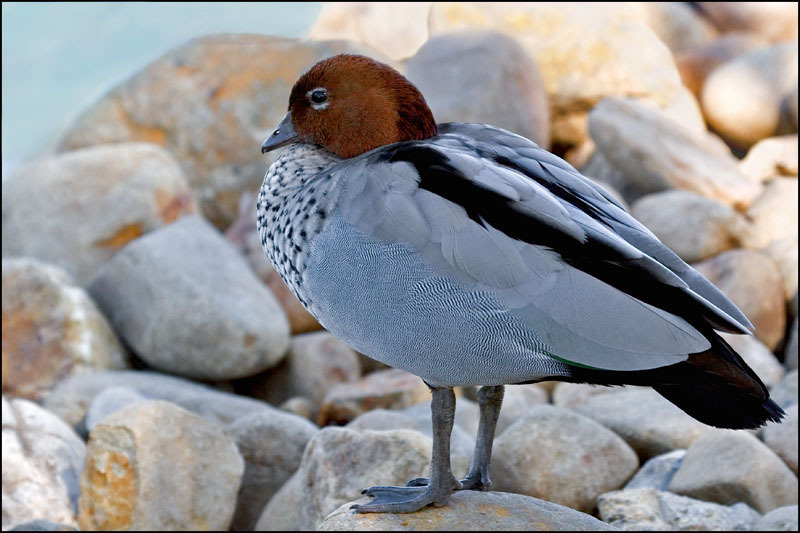 These types of birds are generally found in the lake water or sea water. For the feeding purposes, ducks heavily rely on marine life such as aquatic plants, insects, small amphibians, worms and mollusks. Ducks have been categorized into different groups such as whistling ducks, teal ducks, and wood ducks. These are monogamous species and they breed only once in a year. Ducks build their nests before the breeding season starts. These birds are considered to be very caring and kind toward humans and they like to be approached.Ducks reside in almost all parts of the world except in Antarctica. Some of the species are found to be migratory birds whereas others are not. They like populated areas and are not afraid to make their presence feel amongst others. For the reason that ducks do not fly, they are too susceptible to the sea predators including crocodiles, fish eating birds, and herons. Ducks are normally monogamous birds in that they make partners for a long period of time. These birds usually breed no more than one time in a year. Diving duck is one of the most common types of ducks that mostly feed by diving below the water surface. These birds are also called pochards and scaups. 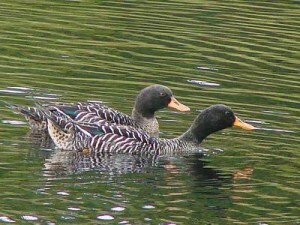 These birds are also placed in a subfamily of Anthyinae, and are considered to be the close relative of dabbling ducks. These species are endemic to the Northern Hemisphere. Diving duck is primarily found in the fresh water. Unlike other species, these types of ducks can certainly fly. These ducks are migratory birds and they are often found to travel large distances in one journey. These birds cannot walk on land as properly as dabbling ducks. 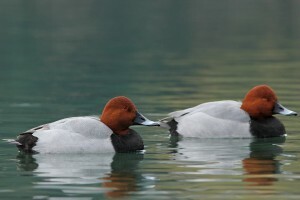 The Canvasback belongs to the family of Aythya valisineria and is one of the North American Diving Ducks. The length of these types of ducks measures around 48 – 56 cm (19 – 22 inches). 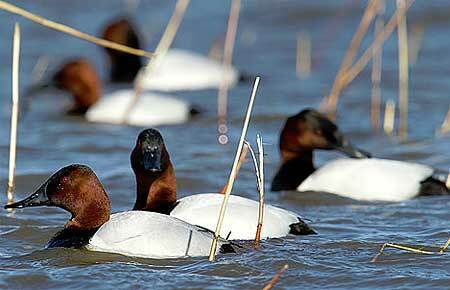 Canvasback weighs around 862 – 1,588 g (1.90 – 3.50 lb). The wingspan measures about 79 – 89 cm (31 – 35 inches). These birds have a long beautiful neck, along with a black bill and brownish tail. It has bluish grey legs. They breed all throughout North America. Population is found to be declining due to the habitat destruction. The clutch size comprise of 5 – 11 eggs. The eggs are slightly green in color. These kinds of ducks predominantly feed on seeds, leaves, aquatic plants, weeds, roots, tubers, snails, insect larvae, and buds. 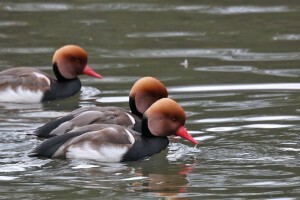 The Common Pochard is associated with the family of Aythya ferina. These ducks are medium sized birds and they have red head and red eyes together with grayish back. These types of ducks frequently migrate in winter toward the Western Europe. These species primarily feed on small insects, small fish, and molluscs. These birds mostly feed at night. They are extensively found in the Eastern England, lowland Scotland, Northern Ireland, Russia, and Scandinavia. The Redhead belongs to the family of Aythya Americana and is a medium sized bird. The length of the redhead duck measures around 37 cm. The wingspan is about 84 cm long. These types of ducks have yellow eyes, red head and grey back. 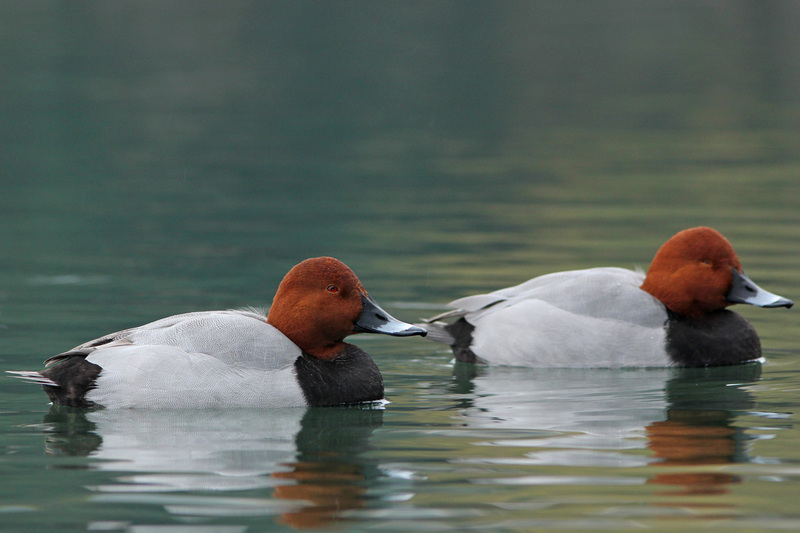 One of the unique characteristics of redhead ducks is that the females often lay eggs in the nests of other ducks. They make new partners for each year. These birds are primarily found in the Northeastern United States, Caribbean, and Mexico. These species are the migratory birds. They mainly feed on aquatic plants which comprise more than 75% of the whole diet. 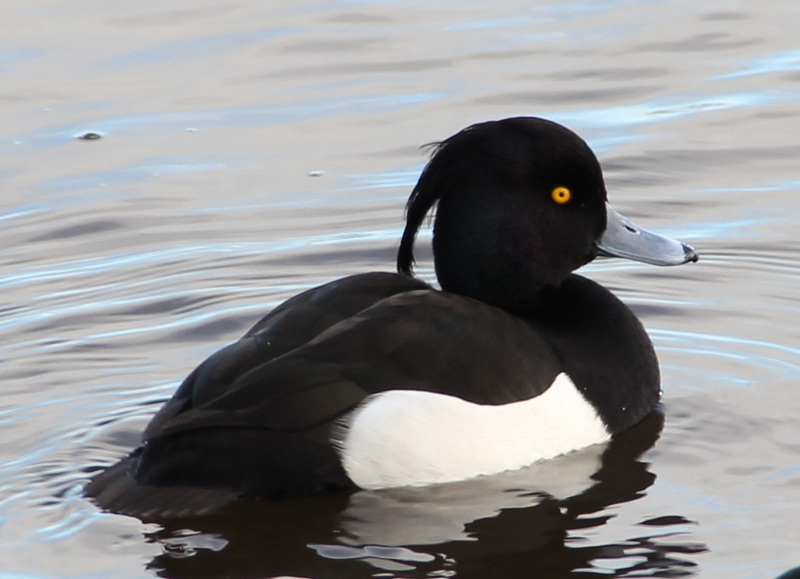 The Ring-necked Duck belongs to the family of Aythya collaris and is a native of North America. 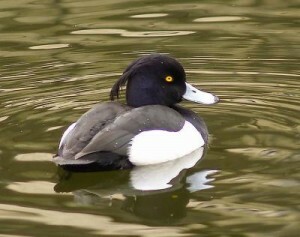 These types of ducks are close relatives of tufted duck. Ring-necked duck has grey bill with a white band and yellow eyes. They breed in wooded lakes in the Northern United States and Canada, and are mostly found in ponds and rivers. They predominantly feed on aquatic insects, plants, seeds, and small fish. The females lay 8 – 10 eggs. Females stay with their chicks until their first flight. Ring-necked duck is a migratory bird. 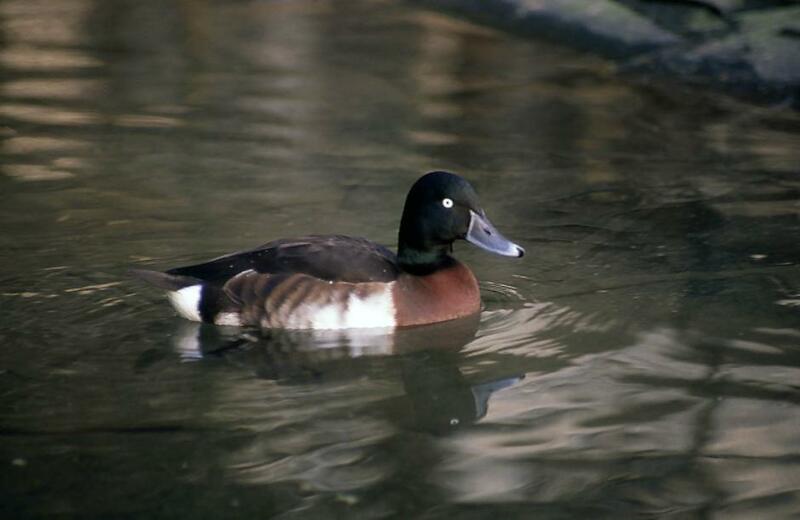 The Hardhead belongs to the family of Aythya australis, and is also called white-eyed duck. These types of ducks are widespread all throughout southeast Australia and New Zealand. These ducks dive deep into the water for feeding and is observed to stay underneath for a minute or two. They feed on large number of aquatic creatures including plants, weeds and seeds. 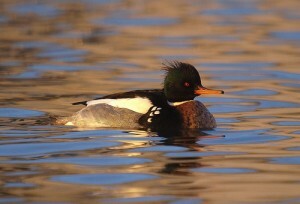 Hardhead ducks like to stay in still water, lakes, and swamps. These birds hardly come on land. The length of these species measures around 45 – 55 cm. 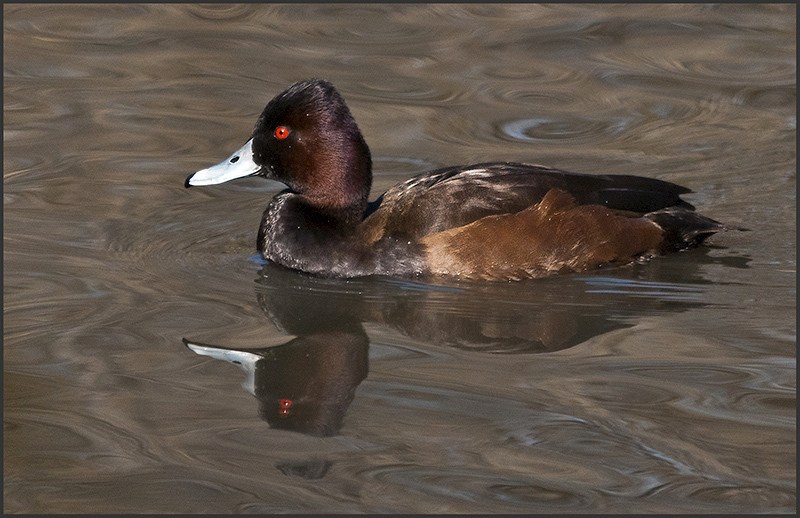 Baer’s Pochard belongs to the family of Aythya baeri, and is typically found in Eastern Asia. These types of ducks are close relatives of Ferruginous duck. These birds breed all throughout Russia, China, Japan, Vietnam, and India. 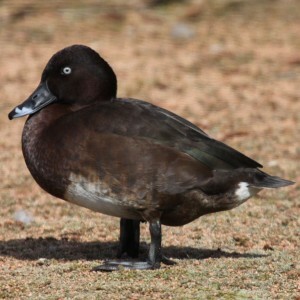 The length of Baer’s Pochard measures about 41 – 46 cm. 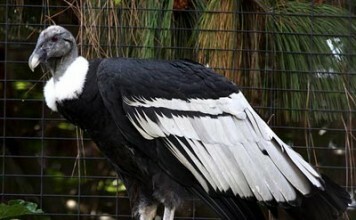 These birds had been considered as endangered species in 2008. They are generally found in coastal wetlands, lakes, and ponds. The Ferruginous Duck belongs to the family of Aythya nyroca, and is also known as Fudge Duck. These species breed in southern and Eastern Europe and Asia. Ferruginous ducks occasionally migrate to the North Africa. Males are larger in comparison to the females. 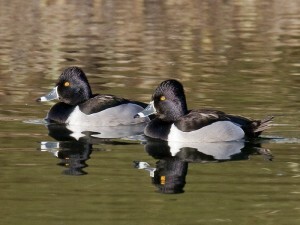 They usually travel in flocks with tufted ducks. They feed on aquatic plants, small insects, small molluscs, and fish. 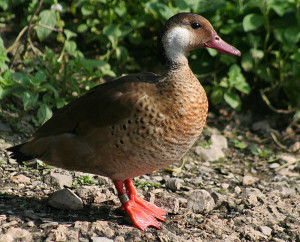 The Madagascar Pochard is associated with the family of Aythya innotata. These types of ducks were found in the Central Plateau of Madagascar back in 1991. 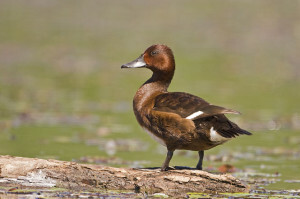 The population of Madagascar pochard was observed to be declined in 1940’s and 1950’s due to the habitat destruction. Rice cultivation and burning of vegetation are one of the widespread causes of the Madagascar’s extinction from several lakes. The New Zealand Scaup belongs to the family of Aythya novaeseelandiaei, and is also claimed to be Black Steal. These diving ducks are native to New Zealand. They have yellow eyes and dark greenish head. These birds submerge for about 30 – 40 seconds. They feed on small insects, mussels, and aquatic plants. 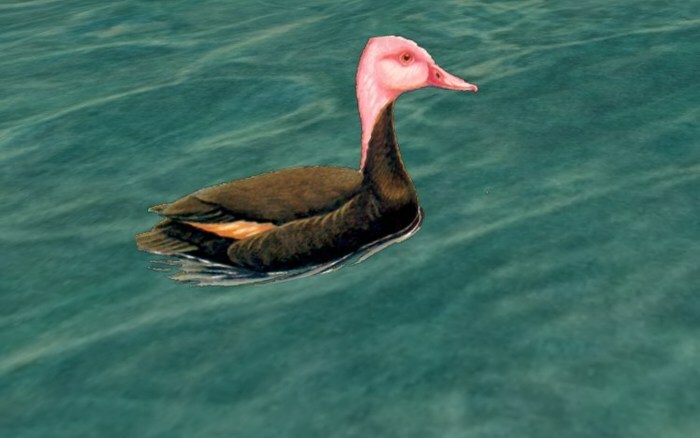 These types of ducks are normally found in the fresh lake-water. These species do not migrate. The nesting period lasts from October to March and the females lay 5 – 8 eggs. The incubation (keeping warm) period lasts for 4 weeks. The Tufted Duck belongs to the family of Aythya fuligula and is a medium sized bird with a population of almost 1 million. These types of ducks have bluish grey bill. They are widely distributed all throughout Northern Eurasia, United States, and Canada. They are the migratory birds and most of them travel towards Western Europe and southern Asia. They build their habitats nearby lake-waters. Tufted ducks primarily feed on small insects, and mollusks. 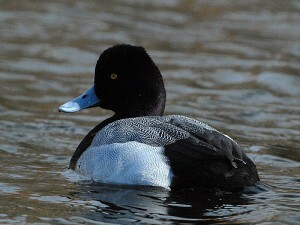 The Greater Scaup belongs to the Aythya marila family, and is a medium sized bird. These types of ducks dive down into the water in search of marine creatures. 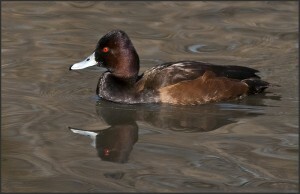 They are closely related to the Lesser Scaup. They usually spend their summer in Canada, Alaska, Siberia, and northern Europe. They migrate toward North America in winter. 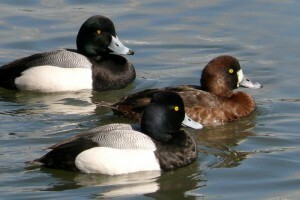 Greater scaup are greater in size as compared to other species. They have yellow eyes and bluish bill. After reaching 2 years of age, they start breeding and constructing nests. The clutch size comprises of 6 – 9 eggs. The hatching period lasts from 24 – 28 days. These types of ducks mainly feed on molluscs, insects, and plants. Few of the notable predators of greater scaup includes foxes, owls, skunks, coyotes, raccoons and humans. 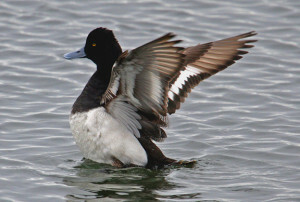 The length of greater scaup measures around 39 – 56 cm (15 – 22 in). The wingspan is about 71 – 84 cm (28 – 33 in) long. These species weigh around 726 – 1,360 g (1.60 – 3.0 lb). The females lay 6 – 9 olive colored eggs. The incubation (keeping warm) period lasts from 24 to 28 days. The chicks fledge out after 45 – 45 days. 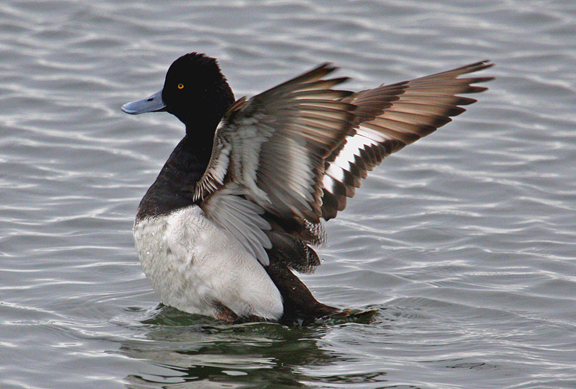 Greater scaup can fly at a speed of 121 km/h (75 mph). They are mostly hunted in Germany, France, Denmark, and United Kingdom. These types of ducks spend their summer in Alaska, Siberia, and Europe. They subsist in Aleutian Islands, Caspian Sea, Yellow sea, Central Europe, China Sea, Coastal Bays, Great lakes, Peninsula, Baltic Sea, Adriatic Sea, Arctic Sea, British Isles, Hudson Bay, Baja Peninsula, Lake Winnipeg, and Yukon. 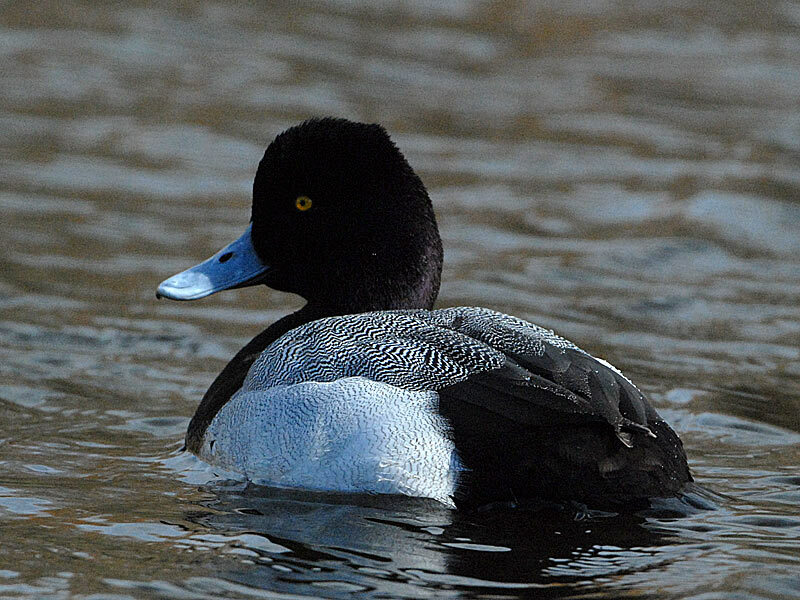 The Lesser Scaup is a member of the Aythya affinis family. 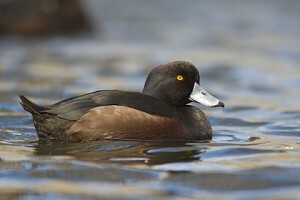 Lesser Scaup is a migratory bird and is endemic to the Central America. The length of these types of ducks measures around 38 – 48 cm (15 – 19 in). The average length of these birds is about 41.7 – 43 cm (16.4 – 19 in). Lesser scaup weighs around 454 – 1,089 grams (1.00 – 2.40 lb). The average weight of male is about 820 g (1.8 lb). The wingspan measures about 19 – 20 cm (7.5 – 7.9 in). The bill is 3.6 – 4.3 cm (1.4 – 1.7 in) long. Where do Lesser Scaup live? They build their habitats near lakes and ponds. These species inhabits in Alaska, Canada, western Montana, James Bay, great Lakes, McKenzie River, Caribbean Islands, Mexico, West Indies, Bermuda, Columbia, Central America, Rocky Mountains, China, Greenland, Trinidad, Venezuela, and Hawaiian Islands Japan. 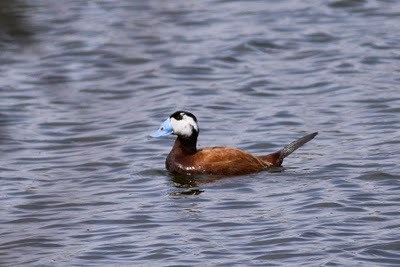 The White-winged Duck belongs to the family of Asarcornis scutulata and is a large species. Males are larger and heavier than the females. The length of the white winged duck measures around 66 – 81 cm (26 – 32 in). The wingspan is about 116 – 153 cm (46 – 60 in). The males weigh around 2.95 – 3.9 kg (6.5 – 8.6 lb). The weight of the females is about 1.95 – 3.05 kg (4.3 – 6.7 lb). Amongst all other different types of ducks, these birds primarily feed on small insects, rice, fish, and snails. These species are extensively distributed all over Southeast Asia, Bangladesh, India, Vietnam, Thailand, and Burma. These are considered to be an endangered species. The Marbled Duck belongs to the family of Marmaronetta angustirostris and is classified as a diving duck. Marbled duck is a medium sized duck that breeds in the Mediterranean Region, Spain, Africa, Iraq, Turkey, Armenia, India, Azerbaijan, China and Israel. The females lay 7 – 10 eggs. The length of marbled duck is about 39 – 42 cm (15 – 17 in). 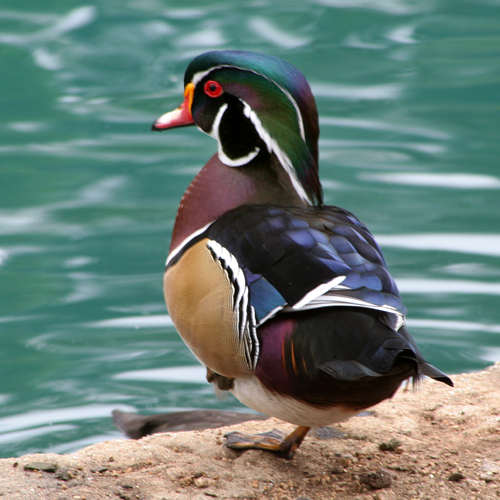 There are more than 40,000 species of marbled ducks around the world. Hunting and habitat destruction led the population of these birds vanish away from the major lakes. The Pink-headed Duck belongs to the family of Rhodonessa caryophyllacea and was formerly found in the plains of India and Bangladesh. Few naturalists suggested that the pink headed duck was also found in Myanmar. These types of ducks are 41 – 43 cm. They have long necks and a paler bill. The clutch size consists of 6 – 7 eggs. The eggs measure around 1.71 – 1.82 inches by length. The width of the pink-headed eggs is 1.61 – 1.7 inches. They are the non migratory birds and generally feed on aquatic plant and molluscs. These species reside in Brahmaputra. 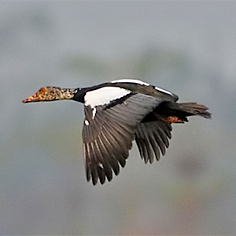 The Spot-billed Duck Brahmaputra is a member of a Anas poecilorhyncha family, and is also known as Spotbill. 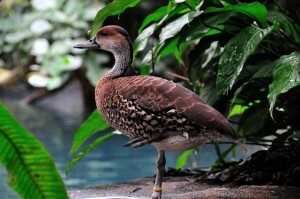 These types of ducks primarily breed in tropical Asia. These birds are endemic to Pakistan, India, and Japan. 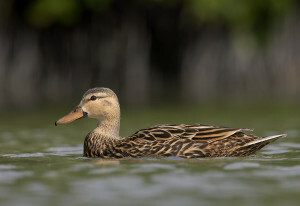 The length of the spot-billed duck is about 55 – 63 cm (22 – 25 in). These birds weigh around 790 – 1,500 grams (1.7 – 3.3 lb). They are largely found in the freshwater lakes and open areas. The females lay 8 – 14 eggs. The American Black Duck is associated with the family of Anas rubripes, and is similar in size to the mallards. These species reside mostly in North America. These types of ducks are 48 – 63 cm (19 – 25 in) long. They weigh about 720 – 1,640 grams (1.6 – 3.6 lb). They build their habitats near water, ponds, brackish marshes, lakes, rivers, and other aquatic environments. 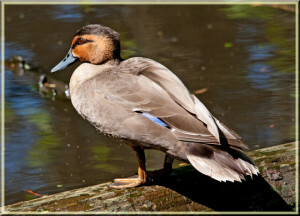 American Black Duck Female lays 8 – 9 eggs. They are migratory to some extent. These birds predominantly feed on small insects and molluscs. The eggs are hatched after 30 days. 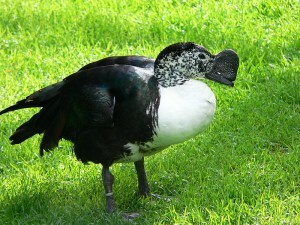 The Philippine Duck belongs to the Anas luzonica family. These types of ducks are widespread in Philippine. Recent study has revealed that there are no more than 5,000 species have been left in Philippine. These birds have grayish body together with a black crown and brown legs. These species mainly feed on shrimp, fish, insects, and vegetation, and it frequents all types of wetlands. The Mottled Duck is a family member of Anas fulvigula, and it has the same plumage as that of a mallard. Mottled duck is a medium sized bird and it mainly resides in Gulf of Mexico, Alabama, Florida, and Georgia. These types of ducks do not migrate. 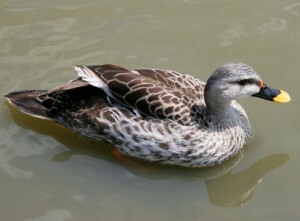 The length of mottled duck measures around 44 – 61 cm (17 – 24 in). These species have dark plumage and orange legs. They predominantly feed on aquatic plants, and small insects. They build nests close to vegetation in order to hide it from the predators. The Red-crested Pochard is linked to the family of Netta rufina, and is a large diving duck. These ducks usually inhabits in the Indian Subcontinent, Africa, Central Asia, and Europe. These birds form large flocks especially in winter. 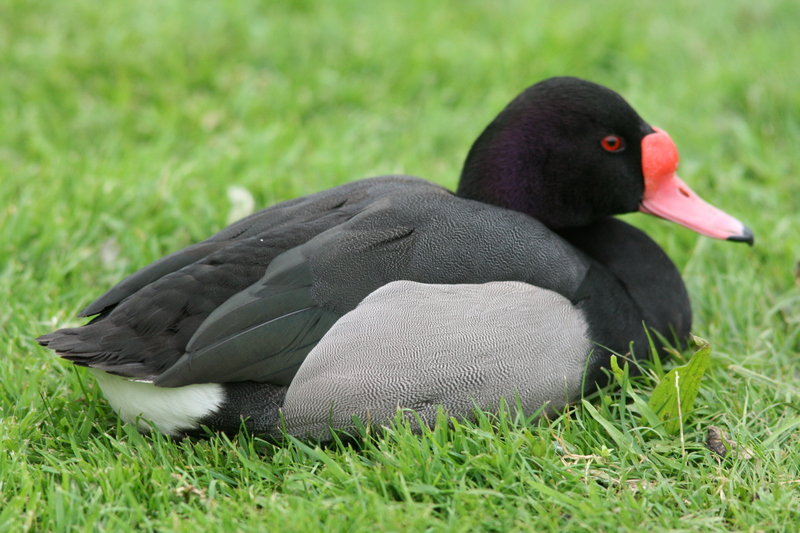 Red-crested pochards construct their nests nearby vegetation and lay 8 – 12 eggs. 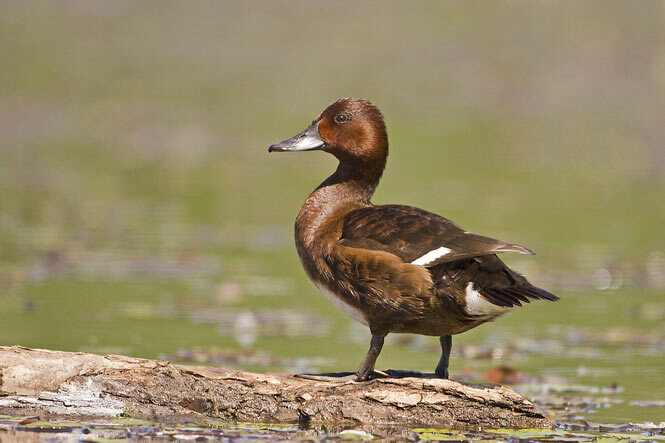 The Southern Pochard belongs to the family of Netta erythrophthalma and is native endemic to South America. They have a breeding range from Columbia, Brazil, Peru, Venezuela, and Argentine to Chile. They are found in the freshwater where there is abundance of vegetation which is more suitable for their habitat construction. The clutch size comprises of 6 – 15 eggs. These are the sociable birds and they have a congenial attitude toward others. N. e. brunnea (Eyton, 1838). 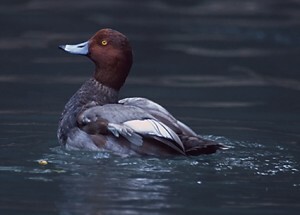 The Rosy-billed Pochard belongs to the family of Netta peposaca and is commonly classified as a diving duck. 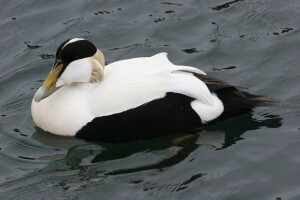 The Common Eider is linked to the family of Somateria mollissima. This is one of those types of ducks that are widely distributed all throughout Europe, Siberia, and North America. These species are large birds and they breed in arctic and temperate regions. They can fly at a speed of 113 km/h (70 mph). 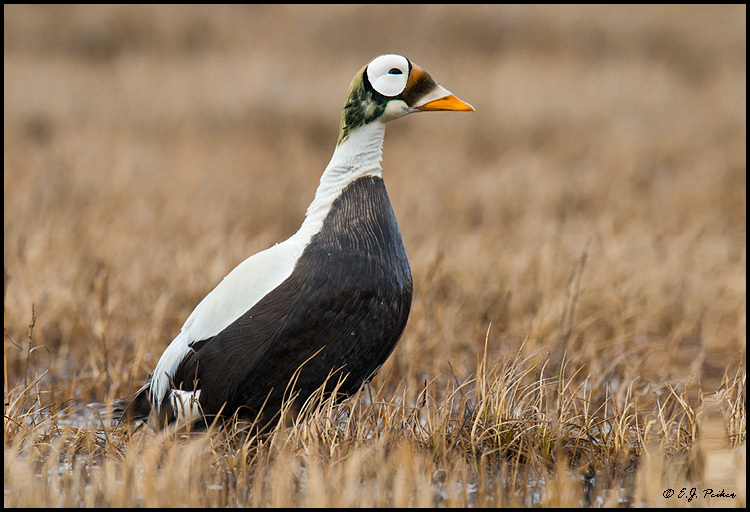 The length of the common eider measures around 50 – 71 cm. 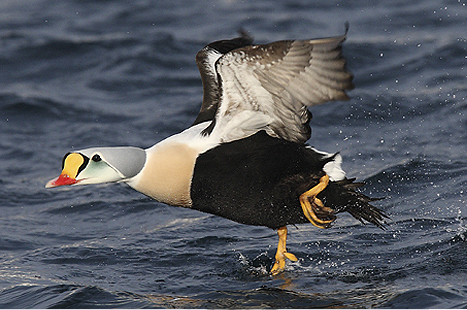 Common eider weighs around 0.81 – 3.04 kg (1.8 – 6.7 lb). The wingspan measures about 80 – 110 cm (31 – 43 in). 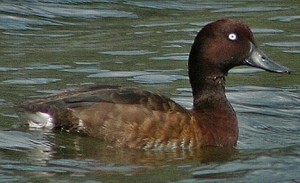 The females have brown plumage. They mostly feed on crustaceans, molluscs, and mussels. An estimated population of these species is more than 1,500,000 all throughout North America. The Muscovy Duck belongs to the family of Cairina moschata and is native to Central America, Mexico, Texas, and Rio Grande Valley. They can survive under the temperature of 12oC. The length of these species is about 76 cm. The average length of an adult male measures about 86 cm (34 in). These ducks weigh around 4.6 – 6.8 kg (10 – 15 lb). 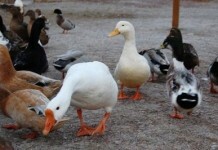 Domestic ducks weigh about 2.7 – 3.6 kg (6.0 – 7.9 lb). Largest females have been recorded as 5 kg (11 lb); whereas largest male of about 10 kg (22 lb) weighed in Australia. 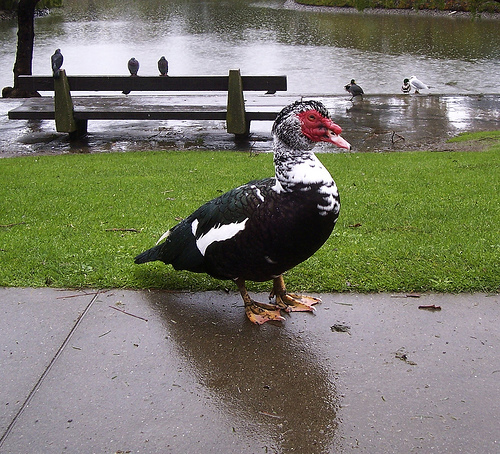 The wild Muscovy duck measures 66 – 84 cm (26 – 33 in) by length. The wingspan of these wild ducks is about 137 – 152 cm (54 – 60 in). The wild Muscovy weighs around 1.1 – 4.1 kg (2.4 – 9.0 lb). These types of ducks mainly inhabits on swamps, forests, streams, and grasslands. They primarily feed on small fish, reptiles, amphibians, crustaceans, insects, and millipedes. The females lay 8 – 16 eggs which comprise a clutch size. The eggs are incubated (keeping warm) for about 35 days. The chicks remain with their parents for their first 3 months. The ruddy shelduck measures 58 – 70 cm by length. The females lay 6 – 16 eggs that are incubated (keeping warm) for 30 days. These types of ducks usually form small flocks. The wingspan measures around 110 – 135 cm. These birds are endemic to North Africa, Asia, Ethiopia, Southeast Asia, and Indian Subcontinent. 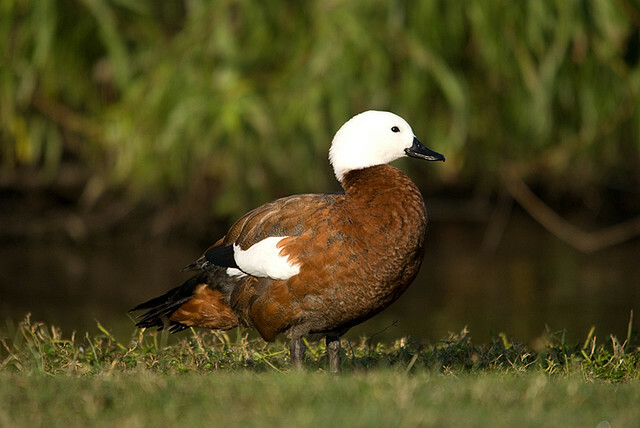 The South African Shelduck belongs to the family of Tadorna cana, and is a large bird that looks like geese, swans and ducks. The length of these birds is about 64 cm. They breed in Africa, Namibia, and South Africa. 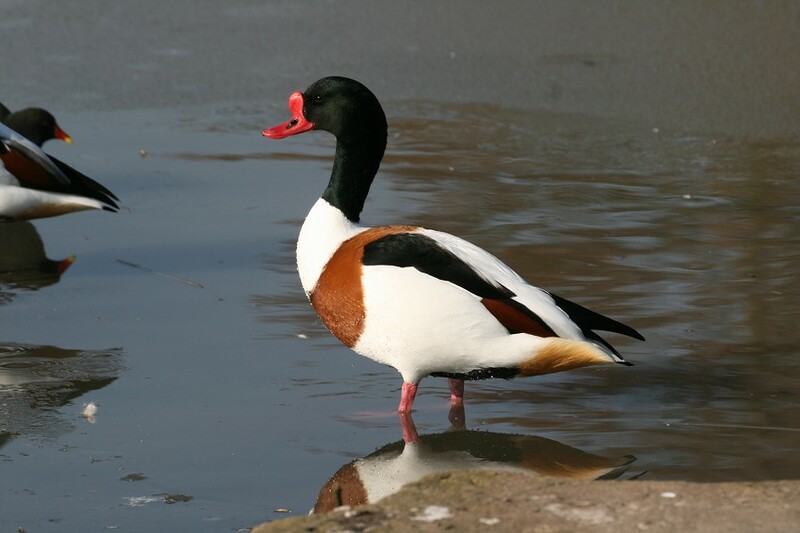 The Paradise Shelduck belongs to the family of Tadorna variegate, and it has a black head with a chestnut body. They feed on weeds, grass, and crops. 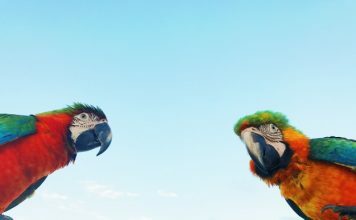 These are monogamous birds and they make mates for long times. The breeding season lasts from August to December. These types of ducks turn out to be mature after 2 years of their birth. The clutch size comprises of 9 eggs. Chicks fledge out after 2 months. 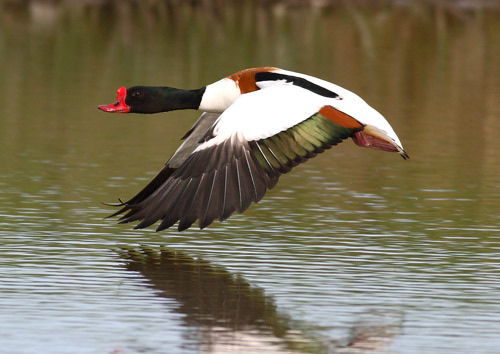 The Crested Shelduck belongs to the family of Tadorna cristata, and is seriously an endangered species. These species breeds in Korea and Russia. Crested shelduck have a greenish brown crown and a brownish throat. The length of these birds is about 63 – 71 cm (25 – 28 in). The wingspan measures around 31 – 32 cm (12 – 13 in). They are found in North Korea, Northeast China, Southern Japan, and South Shanghai. These species are considered as partially migratory birds. These birds mainly feed on aquatic vegetation, agricultural crops, crustaceans, carrion, algae, invertebrates, and garbage. These birds are nocturnal feeders. These species breed all through Southern Russia, Korea, and Japan in winter. The breeding period lasts from May to July. These types of ducks lay 10 eggs and females are responsible for the incubation (keeping warm) process. They tend to travel in flocks of 2 – 8 individuals. 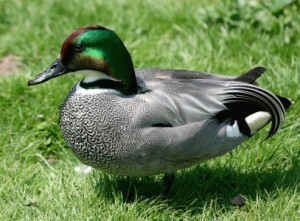 The falcated duck breeds all throughout eastern Asia, Chita, Amur, Russia, Aomori, Inner Mongolia, North Korea, China, Tuva, Kuril Islands, Krasnoyarsk, Japan, Hokkaido. These birds migrate to Southeast Asia, and places in India like Assam, Vietnam, Fujian, Jiangxi, Shaanxi, Hunan, Hubei, Myanmar, Pradesh, Hainan Taiwan, Anhui, China, Yunnan, Hunan, Zhejiang, and Bihar. They are mostly found in the wetlands, meadows, and lakes. They build nests on the ground nearby vegetation. The clutch size comprises of 6 – 10 eggs. These ducks are 48 – 54 cm long. The Harlequin Duck belongs to the family of Histrionicus histrionicus, and is a small sea duck. These species are also known as Lords in the North America. Other names include mountain ducks and glacier ducks. These species breed in Russia, North America, Iceland, Greenland, and Western Europe. They are considered to be an endangered species. 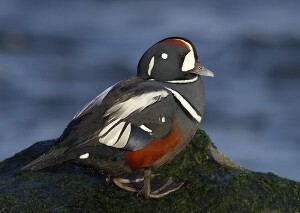 Harlequin Duck mainly feed on small birds, crustaceans, molluscs and small insects. The Common Shelduck is associated with the family of Tadorna tadorna. These species are endemic to Maghreb and Eurasia. These types of ducks are similar to the goose in their physical outlook. The males are slightly larger as compared to females. These species usually breed in the Great Britain coastline. They are largely feed on rabbits, haystacks, tree holes, and burrows. The Raja Shelduck belongs to the family of Tadorna radjah. They are sometimes known as Burdekin Duck. These birds reside in mangrove forests, Queensland, Northern Territory, and Western Australia. They like to live in fresh water, swamps, and wetlands. The clutch size comprises of 6 – 12 eggs. The breeding season lasts from May to June. The Raja Shelduck is listed as a protected bird in all states of Australia and penalties exist for harming or disturbing them. 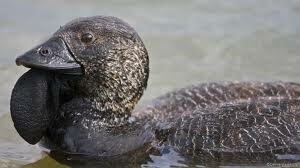 The Musk Duck is linked to the family of Biziura lobata. 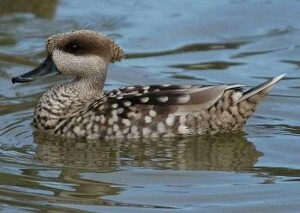 Musk ducks are widespread in Australia, Tasmania, Victoria, and other fertile areas of the island. The length of the musk duck males measures around 60 – 70 cm. The adult females measure about 47 – 55 cm. These species are fond of open places like ponds, wetlands, and lakes. They spend most of their daytime under water in search of food. They primarily feed on water beetles, water snails, shellfish, and yabbies. These birds can breed even at the age of 20 years. Breeding season is not fixed, however the normal seasonal months ranges from July to January. The female alone is responsible for looking after the chicks. The King Eider belongs to the family of Somateria spectabilis and is mostly breed in the northeast Europe, Asia and North America. The females lay 4 – 7 eggs. They are extensively found in Canada, United States, Benthic, Arctic coastal, tundra, Norway, Scotland, Alaska, and Kamchatka. These types of ducks eat mussels, molluscs, polychaete worms, and crustaceans. In winter season, these birds can form a flock of 100,000 birds. The Spectacled Eider is linked to the Somateria fischeri family and is mainly feed on Alaska and Siberia. The females lay 5 – 9 eggs in the breeding season. They eat invertebrates like crustaceans and molluscs. While traveling, they cover 100 km of vast distances very easily. These ducks are capable to dive into the 60 m deep water. The length of the spectacled Eider measures around 52 – 57 cm. 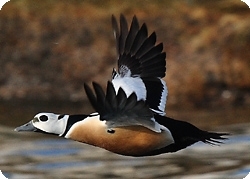 The Steller’s Eider belongs to the family of Polysticta stelleri. This bird is mainly found in Siberia and Alaska. The females lay 6 – 10 eggs. These species can travel in flocks of more than 200,000 individuals. They eat crustaceans, mussels, and molluscs. The males are slightly larger in comparison to the females. Goldeneye duck belongs to the family of Bucephala and is mainly feed on small fish, crustaceans and other aquatic creatures. The Common Goldeneye is linked to the family of Bucephala clangula, and is a medium sized bird. These types of ducks are 45 – 52 cm (18 – 21 in) long. They weigh around 888 – 1400 g (1.9 – 3.1 lbs). The adult females are about 40 – 50 cm (16 – 20 inches) long, with the weight of around 500 – 1182 g (1.1 – 2.6 lbs). They have a golden eye and a white belly, along with yellow legs. The average width of an egg measures around 43.3 mm (1.7 in). These eggs are 59.3 mm (2.3 in) long. The weight of the eggs is about 64 g (2.3 oz). The incubation (keeping warm) lasts for 28 – 32 days. The chicks stay in their nests for couple of days. The young birds take their first flight after first 2 months. Most of their feed comes from crustaceans. However, they regularly feed on insects and molluscs. Common golden eye duck has quite a few predators, amongst which owls, bears, hawks, eagles, mink, weasels, and raccoons are notable. Naturalists have found 5 main fossils of golden eye duck. Barrow’s Goldeneye belongs to the family of Bucephala islandica. This specie is a medium sized bird and it has a yellow bill. 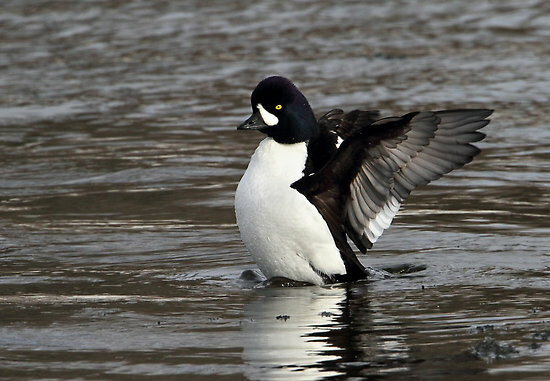 As far as physical appearance is concerned, these birds have similar outlook to that of common a golden eye. They mostly breed in the North America, Canada, and Iceland. These are the migratory birds in that they tend to travel toward the coastlines in winter. They mainly feed in insects, invertebrates, and tree cavities. 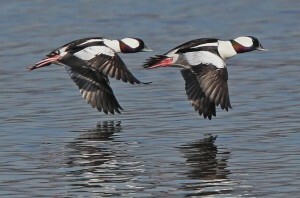 The Bufflehead belongs to the family of Bucephala albeola. This bird was first discovered in 1758. The length of bufflehead measures around 32 – 40 cm (12.5 – 16 in). These types of ducks weigh about 270 – 550 grams (0.6 – 1.2 lbs). These are considered to be the smallest American Duck. These species are the migratory birds and they travel mostly in winter season. They build their habitats nearby lakes, ponds and freshwater. 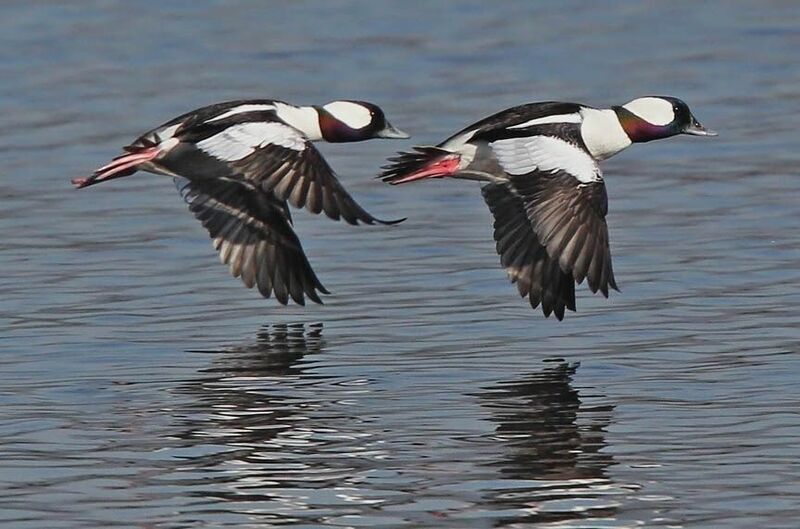 Buffleheads make their partners for a long period of time. The clutch size comprises of 6 – 11 eggs. The eggs are 50.5 – 36.33 mm by length. The incubation (keeping warm) lasts for 30 days on average. The chicks fledge out after first 2 months of their birth. They have predator like Bald eagle, Golden eagle, Snowy owl, Peregrine falcon, Great horned owl, Red-tailed hawk, Cooper’s hawk, and Eurasian Eagle owl. These species predominantly feed on insects, molluscs, crustaceans, and plants. They can dive 1.2 – 4.5 m (4 – 5 feet) down into the water. The Green-winged Teal belongs to the family of Anas carolinensis and it mostly breeds in the North America. This specie does migrate in winters. They tend to form flocks while travelling. Females are males are not easily distinguishable in their plumages. These birds construct nests on the ground near vegetation so as to cover it. These types of ducks subside in the northern hemisphere during summer. They breed in the Europe, northern Alaska, River delta, California, central Kansas, Wisconsin, Ontario, Quebec and Asia. These birds inhabits in ponds, swamps, lakes, and streams. The nests are at least 2 – 300 feet (6 – 91 m) farther from water. These birds predominantly feed on stems, seeds, nutgrasses, sedges, seeds, wheat, and barley. Most frequent predators include red foxes, skunks, raccoons, and skunks, and finally humans. The Long-tailed Duck or Oldsquaw is a medium sized bird that belongs to the family of Clangula hyemalis. The length of these birds measures around 10 – 15 cm. The bill is a dark grey with the pink lineage. They breed in marshes and mountain lakes all throughout Alaska, Russia, Europe, Canada, and Asia. These are the migratory birds. They mainly feed on crustaceans, small fish, and molluscs. They dive 60 m deep into the water for feeding purposes. 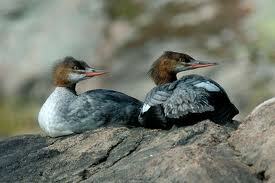 The Common Merganser is a North American Bird that belongs to the family of Mergus merganser. 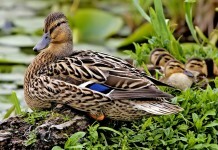 These types of ducks primarily reside in lakes, wetlands, and forests of Europe and Asia. These ducks are 58 – 72 cm (23 – 28 in) long. The wingspan measures about 78 – 97 cm (31 – 38 in). Common merganser weighs around 0.9 – 2.1 kg (2.0 – 4.6 lb). Females are slightly smaller as compared to the males. They feed on molluscs, worms, crustaceans, amphibians, and small mammals and insect larvae. They are frequently seen on the water surface while searching for food. The females lay 6 – 17 yellowish eggs. The chicks fledge out after 60 to 70 days. These juveniles mature at the age of 2 years old. These species are the partial migrants in that the often move from the frozen lake waters and ponds. 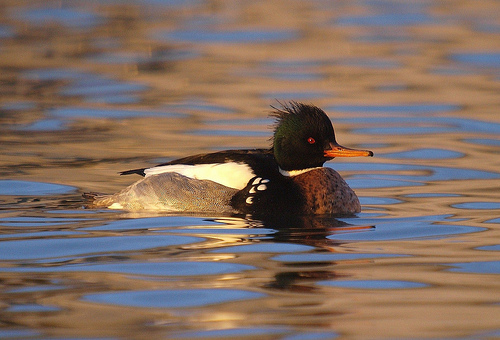 The Auckland Merganser or Auckland Islands Merganser belongs to the family of Mergus and is similar in outlook with merganser. It has a reddish brown plumage and bluish tail together with grey wings. Evidence of its fossils suggested that the bird was formerly a native to South Island in New Zealand. 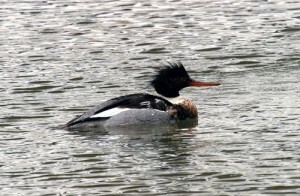 The Brazilian Merganser belongs to the family of Mergus octosetaceus and is considered to be an endangered species with the population of only 250 individuals remaining. One of the chief reasons of its extinction is that none of its specie had been kept under captivity. 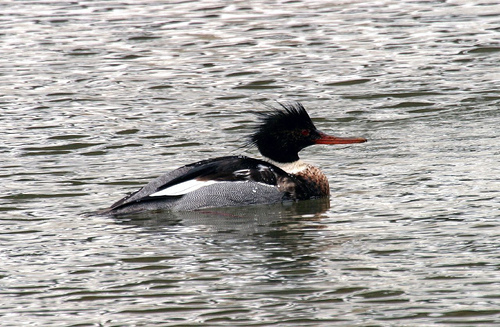 The length of the Brazilian Merganser measures around 49 – 56 cm. The males are greater than females. Normally, these types of ducks do make any strong sound but it may create a Knack-Knack sound that is often heard while they’re in flight. The females lay 3 – 6 eggs in the month of June to July. These species are the permanent residents as they seldom migrate. The females are responsible for incubating (keeping warm) the eggs. These birds primarily feed on small insects, molluscs, larvae, and fish. Humans are mainly responsible for the habitat destruction which is why the population is declining with the passage of time. 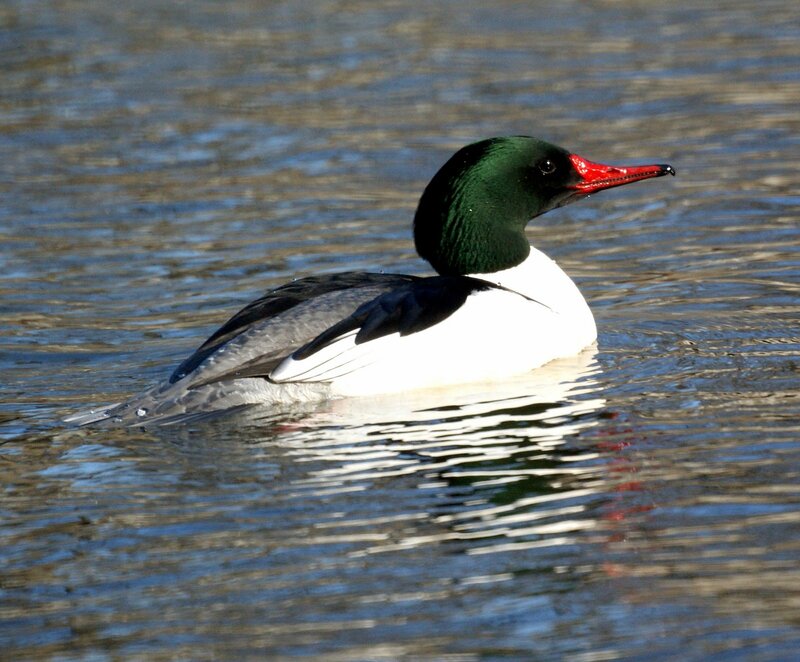 The Red-breasted Merganser belongs to the family of Mergus serrator and was first found in the mid 18th century. These birds are 51 – 62 cm (20 – 24 in) long. The wingspan measures around 70 – 86 cm (28 – 34 in). The males have a dark green shiny head along with a brownish breast. 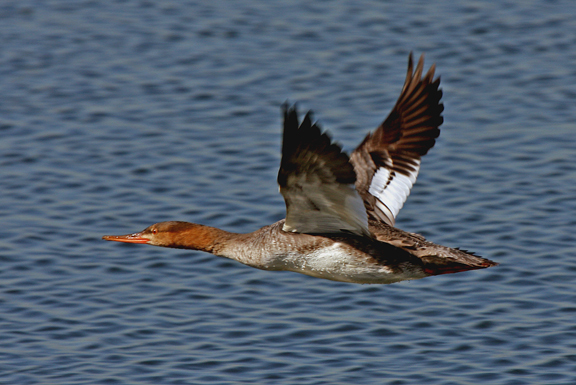 While flying, red breasted Merganser can reach a speed of 161 km/h (100 mph). These types of ducks are fond of eating aquatic plants, insects, fish and invertebrates. They breed in lakes and rivers in Greenland, Europe, Asia, and North America. 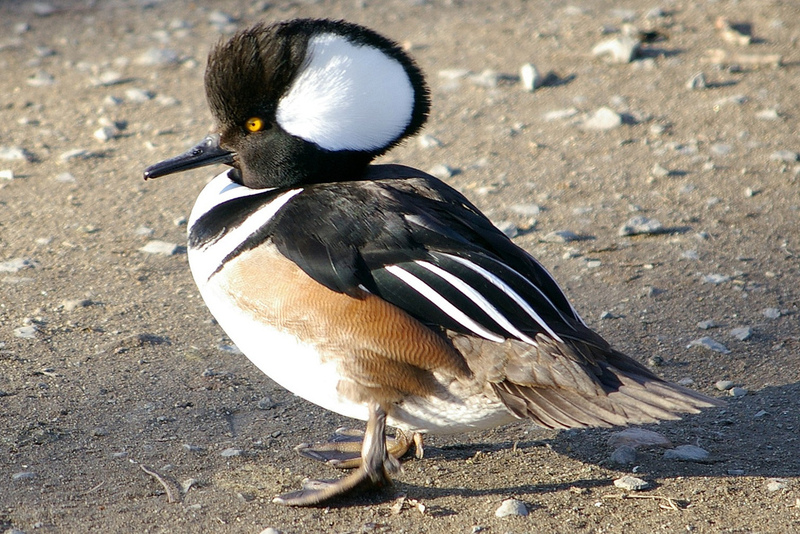 The Hooded Merganser belongs to the family of Lophodytes cucullatus and is a small member of a genus Lophodytes. These types of ducks are endemic to the North America. The females usually incubate (keeping warm) eggs. The chicks stay with their mother for more than 1 month. These species travel short distances. They predominantly feed on small fish, aquatic insects, and crustaceans. 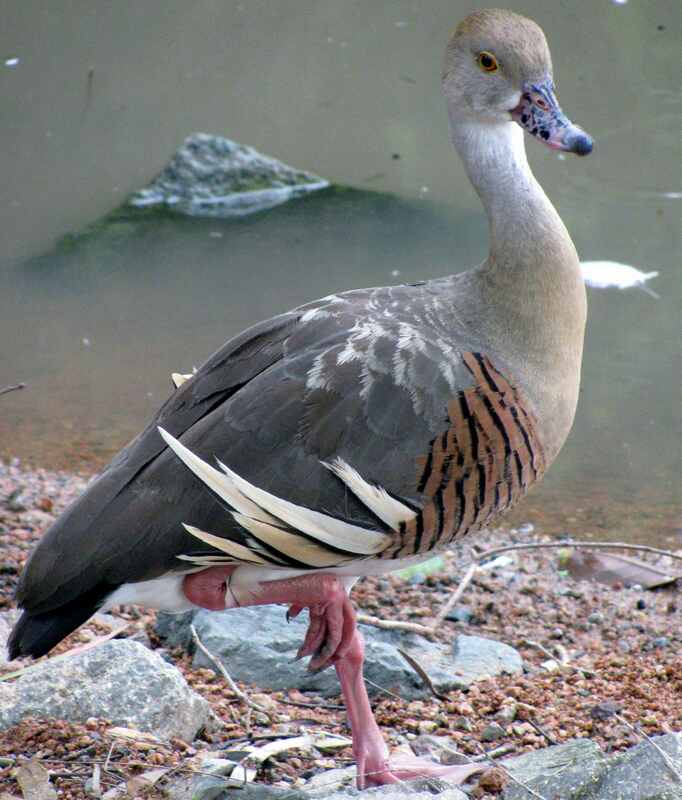 The Spur-winged Goose is associated with the family of Plectropterus gambensis and is a close relative of geese and shelducks. These are largely found in the wetlands of Africa. 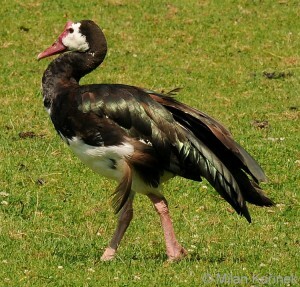 The length of an adult spur winged goose measures around 75 – 115 cm (30 – 45 in). These types of ducks weigh about 4 – 6.8 kg (8.8 – 15 lb). The females are slightly smaller than males. The plumages are predominantly black in color. 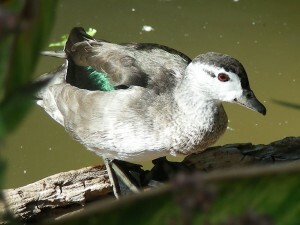 The Salvadori’s Teal belongs to the family of Salvadorina waigiuensis and is a native to New Guinea. They build their habitats near flowing streams and alpine lakes. These species lay 2 – 4 eggs. There is a significant decline in the salvadori’s teal population. 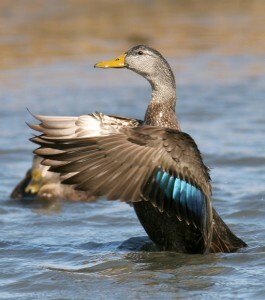 The Torrent Duck belongs to the family of Merganetta armata and is a close relative of Blue duck. 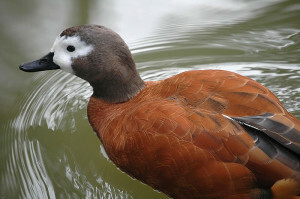 Torrent duck breeds in the South America. These types of ducks are 43 – 46 cm (17 – 18 in) long. Small waterside caves and spots are the ideal places for its habitat. These birds are not afraid of swimming for longer periods of time. 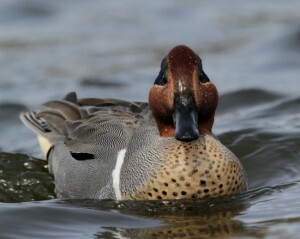 The Brazilian Teal belongs to the family of Amazonetta brasiliensis and was previously believed to be a perching duck. 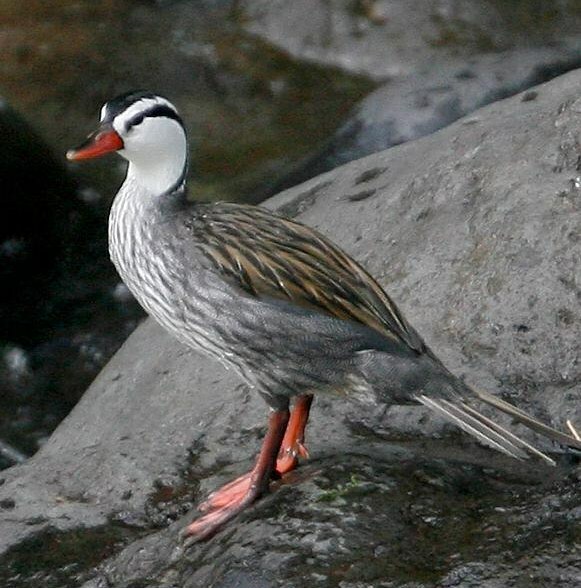 These species have dark brown plumage along with red legs and bill. They travel in small flocks of no more than 20 individuals. Females and males are responsible for hatching eggs. They feed on fruits, seeds, insects, roots, and molluscs. 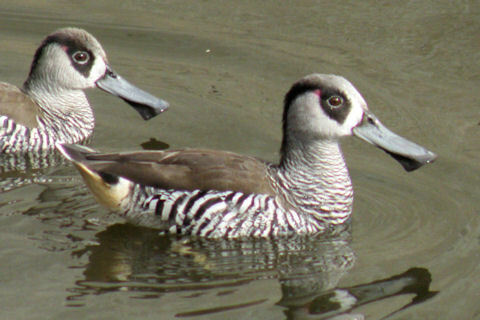 These types of ducks are extensively found in the South America, Paraguay, Uruguay, Bolivia, Guiana, Argentine, Venezuela, Guyana, Brazil, and Columbia. The Knob-billed Duck belongs to the family of Sarkidiornis melanotos and is mainly found in Africa, South Asia, Pakistan, and China. Apart from these places, knob-billed duck also breeds in Paraguay, Brazil, Trinidad, Argentine, and South America. These types of ducks reside in tropical wetlands. These birds are undoubtedly the largest species of duck with the length of about 56 – 76 cm (22 – 30 in). The wingspan measures around 116 – 145 cm (46 – 57 in). Knob-billed duck weigh around 1.03 – 2.9 kg (2.3 – 6.4 lb). These birds have white head with few dark marks. These ducks mainly breed in freshwater, lakes and swamps. The Pink-eared Duck belongs to the family of Malacorhynchus membranaceus and is extensively found in Australia. These ducks are 38 – 40 cm long. 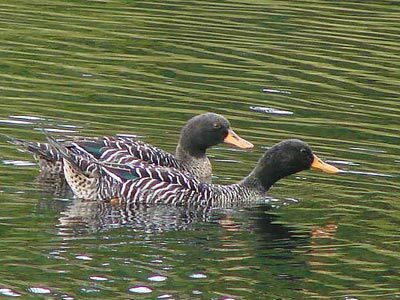 These species are close relatives of musk ducks. 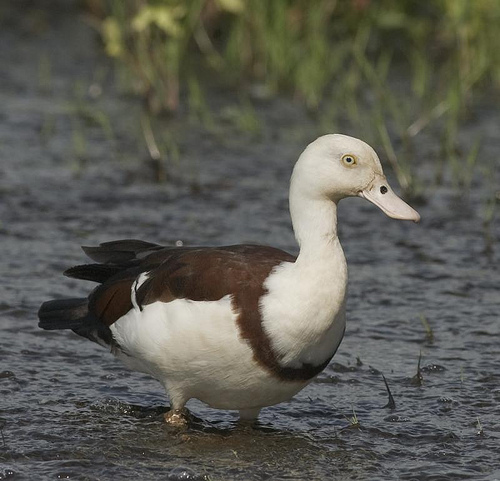 These types of ducks are widespread all over Australia and are primarily found nearby water. They predominantly feed on crustaceans, small insects, and mollusks. The Cotton Pygmy Goose belongs to the family of Nettapus coromandelianus and is a small perching duck that resides in Pakistan, Bangladesh, India, and Northern Australia. The length of cotton pygmy goose measures around 26 cm only. These birds weigh about 160 grams (5.5 oz). These types of ducks build their habitats in tree holes. The females lay ivory white 8 – 15 eggs. They feed on insects, water lilies, and crustaceans. 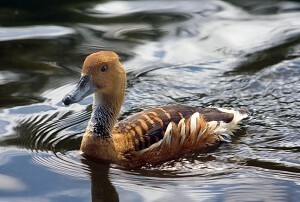 The Lesser Whistling Duck or Indian Whistling Duck belongs to the family of Dendrocygna javanica. These types of ducks largely feed at night and they spend their entire daytime in paddy fields. 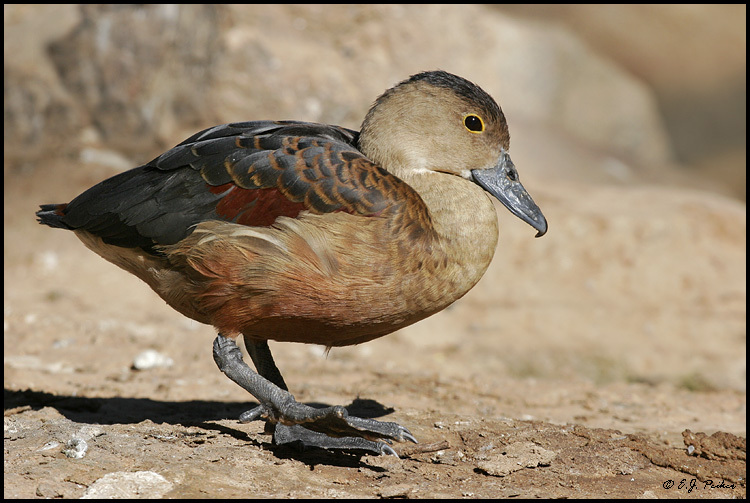 Lesser whistling ducks subsist in India, Singapore, Nepal, China, Indonesia, valleys of Pakistan, and Malaysia. They are commonly near-water places especially where the vegetation is abundantly available, like lakes and rivers. The total population of these ducks counts to 20,000,000 individuals. They are not considered as endangered species. They largely feed on aquatic plants, grains, frogs, fish and worms. The clutch size comprises of 7 – 12 eggs. Males and females incubate eggs together. The hatching period lasts for 22 – 24 days. Under captivity, these birds have lived up to 9 years. 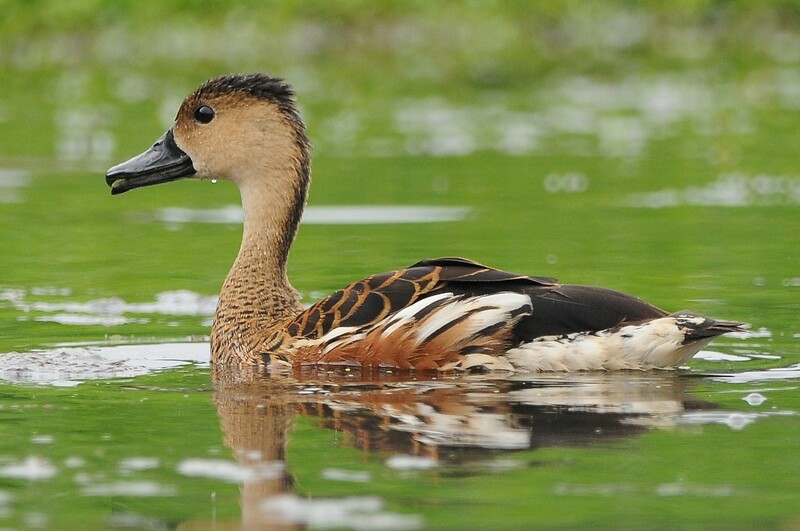 The Fulvous Whistling Duck is associated with the family of Dendrocygna bicolor that breeds all throughout South America and Indian Subcontinent. The females lay 8 – 12 eggs. They build their habitats near paddy fields and water reservoirs. They mainly feed on seeds and aquatic plants. The Green Pygmy Goose belongs to the family of Nettapus pulchellus and is a small duck that breeds in northern Australia. These types of ducks were first discovered in 1842 by John Gould. The length of the green pygmy goose measures around 30 – 36 cm (12 – 14 in). The wingspan is 48 – 60 cm (19 – 24 in). They lay 8 -12 eggs and the incubation (keeping warm) period last for 26 day. 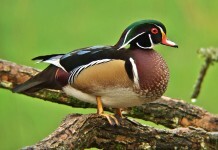 The Wood Duck belongs to the family of Aix sponsa and is mainly found in the North America. These types of ducks are 47 – 54 cm (19 – 21 in) long. The wingspan of wood duck measures around 66 – 73 cm (26 – 29 in). They breed in swamps, marshes and ponds in North America and Mexico. These birds have very sharp claws other species lacks. Females lay 7 – 15 eggs that are incubated (keeping warm) for about 30 days. The wood ducks are non migratory birds. 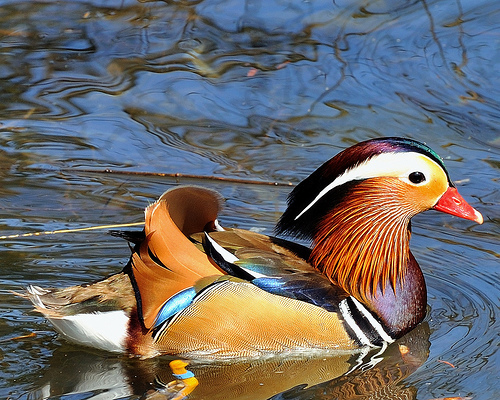 The Mandarin Duck is linked to the family of Aix galericulata and is a close relative of North American Wood duck. The length measures around 41 – 49 cm. The wingspan is about 65 – 75 cm. These birds have reddish face along with the red bill. These types of ducks are endemic to eastern Asia, Russia and China. Deforestation is the chief reason of its declining population. These species primarily feed on seeds, insects, snails and beechmast. Few of the most common predators include raccoons, Eurasian eagle owls, snakes, mink and otters. The Australian Wood Duck belongs to the family of Chenonetta jubata and it breeds all throughout Australia. 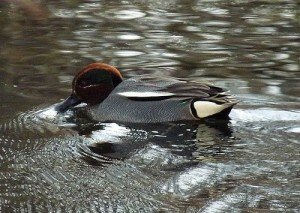 It’s close relative is ringed teal. The length of these birds measures around 45 – 51 cm. They predominantly feed on woodlands, wetlands, and grasslands. 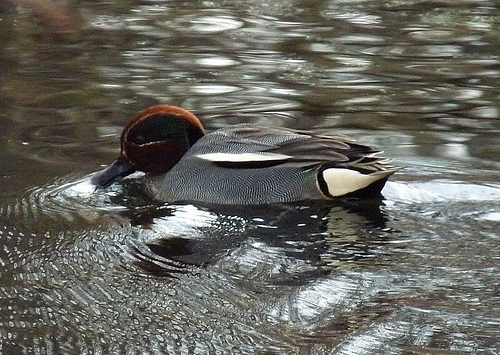 Construction of dams and ponds has led to the extinction of Australian wood duck. In spite of this, they are not considered to be an endangered species. The females lay 9 – 11 eggs. These types of ducks primarily feed on herbs, grasses, and crops. 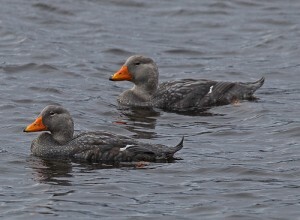 The scoter is related to the Melanitta family. These birds breed in North America, Europe, and Asia. They build their habitats near coastal waters and are mainly found in woodlands or tundra. They feed on insects, molluscs and crustaceas. 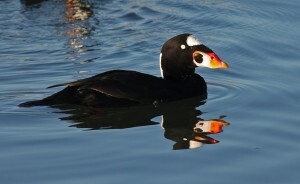 The Surf Scoter is related to the Melanitta perspicillata family. These types of ducks are commonly found in Europe, Alaska, Great Britain and Ireland. These birds form large flocks near coastal waters. They build their nests in woodlands in which 5 – 10 eggs are laid. The eggs weigh around 55 – 79 g (1.9 – 2.8 oz). The width of eggs is about 43.9 mm (1.7 in) together with the length of 62.4 mm (2.5 in). The incubation (keeping warm) period lasts for 28 – 30 days. The chicks begin to fledge out after 55 days. A fully grown female weighs around 900 g (2 lbs). The length of an adult female is 44 cm (17 in). A fully grown male weighs around 1,050 g (2.3 lbs), with the length of 48 cm (19 in). They mainly feed on invertebrates, molluscs, insects and crustaceans. 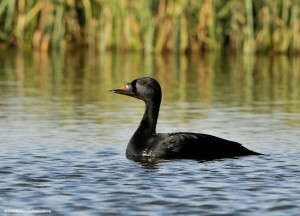 The Common Scoter belongs to the family of Melanitta nigra and it breeds all throughout Europe and Asia. These species measure around 43 – 54 cm by length. Common scoters form large flocks near coastal waters. They build their nests near lakes, rivers, and streams in which 6 – 8 eggs are laid generally. These types of ducks feed on molluscs, insects and crustaceans. 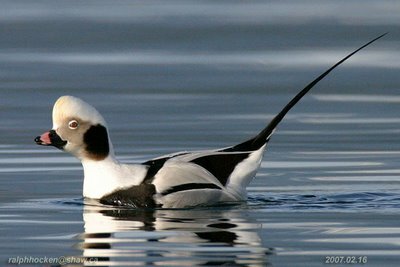 The Smew is associated with the family of Mergellus albellus and is a lone member of the genus Mergus. These species lay 6 – 9 off-white eggs. They breed all throughout Europe and Asia. They breed in trees, and in the coastal lines of Baltic Sea and Black Sea. 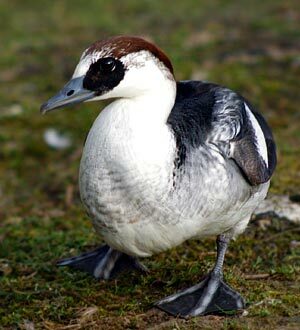 Smew is not considered to be an endangered species. The White-winged Scoter is a large duck that belongs to the family of Melanitta deglandi. Females weigh around 950 – 1950 g (2.1 – 4.2 lb), with the length of 48 – 56 cm (19 – 22 in). the average weight of these females measure around 1180 g (2.6 lb), and the average length is 52.3 cm (21 in). The males weigh around 1360 – 2128 g (3 – 4.7 lb). The length of these males measures about 53 – 60 cm (21 – 24 in), with the average weight of 1380 g (3.6 lb). These types of ducks breed all throughout Asia, America, great Lakes, and Canada. They construct their nests near lakes and rivers, in woodlands. Females lay 5 – 11 pinkish eggs. These eggs are 46.9 mm (1.8 in) wide, with the length of 68.2 mm (2.7 in); and the weight is 82.4 g (2.9 oz). The incubation (keeping warm) period lasts for 25 – 30 days. The chicks remain with their parents for about 3 weeks. 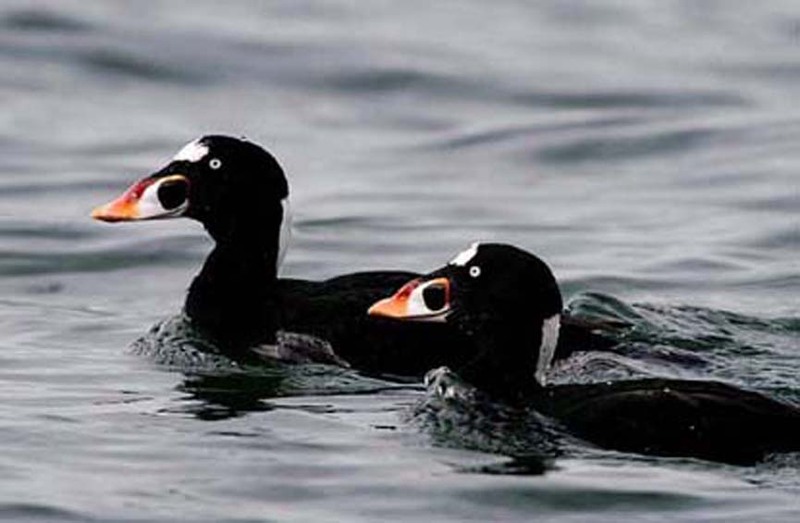 The young white winged scoters begin to take their first flight after 65 – 75 days. They generally feed on small insects, crustaceans, and molluscs. 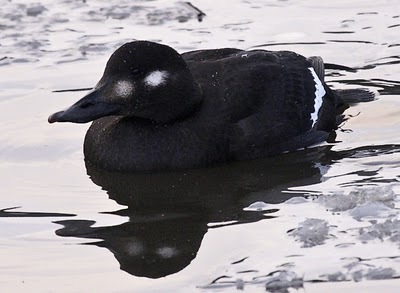 The Velvet Scoter belongs to the family of Melanitta fusca and it breeds in Europe and Asia. Other breeding places include Siberia, Turkey, France, and Spain. These types of ducks form large flocks of individuals near coastal waters of Black Sea and Caspian Sea. They build their nest on ground where vegetation is abundant, mostly near woodlands. The females lay 7 – 9 eggs. They primarily feed on molluscs and crustaceans. The length of these species measure around 51 – 58 cm. The Blue-billed Duck belongs to the Oxyura australis family and it has a bluish bill. These ducks are 40 cm (16 in) long. The female exhibits brown plumage during breeding season. They breed in natural as well as artificial wetlands. They predominantly feed on invertebrates, small fish, buds, fruits, dragonflies, beetles, larvae seeds and insects. These types of duck have strong feet that assist them in long swimming hours. These species are widespread in Tasmania, Victoria, Western Australia, Queensland, and New South Wales. They are mostly found in water as they are reluctant to walk on land. Blue bellied ducks can be submerged in water 10 minutes. The clutch size comprises of 2 eggs. The incubation (keeping warm) period lasts for 26 – 26 days. 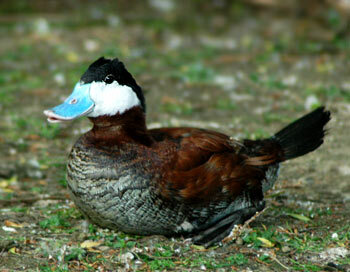 The Ruddy Duck is a small duck that belongs to the family of Oxyura jamaicensis. They breed all throughout North America, South America, and Europe. They are found in dense marsh vegetation where they commonly build their nests. 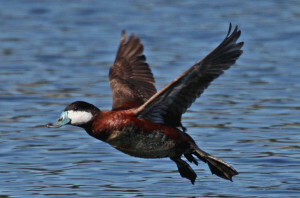 Ruddy ducks migrate in winter season. They largely feed on seeds, crustaceans, small insects and aquatic roots. These types of ducks are widespread in all over Europe. Ruddy ducks show aggressive behavior at times. The White-headed Duck belongs to the Oxyura leucocephala family and it has a reddish body. These types of ducks breed in North America, Spain and Central Asia. This specie is considered to be an endangered species. These kinds of birds do not fly properly and they feed on aquatic plants. Habitat destruction and human hunting has led to the destruction of these ducks from famous lakes. 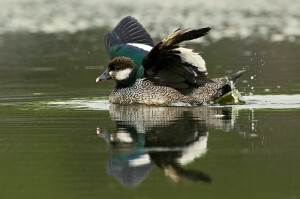 The Eurasian Teal, also known as common teal belongs to the Anas crecca family and it breeds in Eurasia. These species regularly form large flocks and are generally found in wetlands. They primarily feed on invertebrates such as crustaceans, small insects. The length of the Eurasian Teal measures around 34 – 43 cm (13 – 17 in). The average weight of males is 360 grams (13 oz). The females weigh around 340 g (12 oz). The wingspan is 17.5 – 20.4 cm (6.9 – 0.8 in), with the length of 53 – 59 cm (21 – 23 in). The bill is 3.2 – 4 cm (1.3 – 1.6 in) long. They breed in Northern Eurasia, United Kingdom, Siberia, and Iceland. Most of these individuals are found near Mediterranean, Peninsula, Taiwan, South Asia, Persian Gulf, Congo River, Iran, Lake Victoria, Senegal River, Greenland, Nile valley, Indus River, Niger River, Malaysia, Inland, Palau, Marianas, South Carolina, and sea deltas. The regular diet includes; aquatic plants, insects, worms, larvae, crustaceans, grasses, sedges, grains, crops, seeds and fruits. These types of ducks are nocturnal species. The incubation (keeping warm) period lasts for 21 – 23 days. The clutch size consists of 5 – 16 eggs. The chicks begin to move around after 25 – 30 days. The maximum lifespan is 27 years. The West Indian Whistling is linked to the family Dendrocygna arborea family and it generally breeds in Caribbean .These species are also known as Black-billed and Cuban whistling ducks. They are widely distributed throughout Jamaica, Antigua and Barbados, Cuba, and other Islands. They can travel 100 km while migrating. These species build their habitats in tree cavities and tree branches. The normal clutch size comprises of 10 – 16 eggs. They are generally found in swamps and lakes. The length of these birds measure around 48 – 58 cm. These species are restricted to Caribbean. The Wandering Whistling Duck belongs to the family of Dendrocygna arcuata and it normally breeds in tropical Australia, Pacific, Islands, and Indonesia. These birds have great whistling sounds which gives rise to their names. The length of these types of ducks measures around 54 – 60 cm. The average weight of wandering whistling ducks is about 750 grams. They are mostly found in water. Breeding period lasts from December to May. Females lay 6 – 15 eggs. The Plumed Whistling Duck belongs to the family of Dendrocygna eytoni and it generally breeds in New Guinea. There is no significant difference between males and the females. These species measure around 42 – 60 cm (16.5 – 24 in) by length. These types of ducks breed in New South Wales, Cape York, Victoria, Murray River and Savanna. 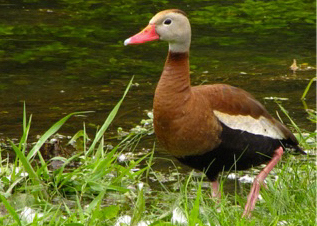 Plumed whistling ducks predominantly feed on cropping grass. The breeding season lasts from January to March. The females lay 10 – 12 eggs; these creamy-colored eggs are 48 × 36 mm long. 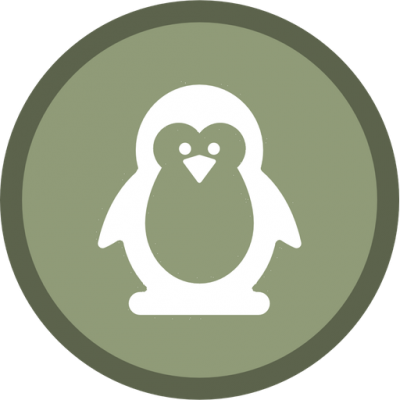 The incubation period lasts for 30 days. 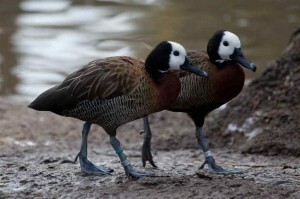 The White-faced Whistling Duck is associated with the Dendrocygna viduata family and it mainly breeds in South America and Africa. These birds have long legs and head together with grey bill. The chicks do not look similar to their adults. They are extensively found near lakes, reservoirs where vegetation is excessively available. These types of ducks feed on plants, seeds and small insects. The females lay 8 – 12 eggs. These species infrequently build nests on trees. The Black-bellied Whistling Duck belongs to the family of Dendrocygna autumnalis and was previously known as tree duck. These birds breed in Central and South America, Texas, Arizona, Arkansas, Georgia and South Carolina. Black-bellied whistling ducks measure 48 – 53 cm (19 – 21 in) by length. These birds have red legs and long reddish bill. These ducks form large flocks and are naturally non-migrant birds. They build habitats near ponds, lakes, and marshes. They primarily feed in invertebrates, arthropods, and aquatic plants. The Fuegian Steamer Duck belongs to the Tachyeres pteneres family and is endemic to South America. These species are commonly found in rocky coasts and southern Islands of Chile. Fuegian steamer duck weighs around 3.5 – 7 kg (7.7 – 15 lb). These types of ducks are 65 – 84 cm (26 – 33 in). The females are slightly smaller as compared to males. The wingspan measures about 85 – 110 cm (33 – 43 in). The females lay 4 – 11 eggs in the breeding season that starts from September to December. These ivory eggs are 8.2 × 5.6 cm (3.2 × 2.2 in), with the weight of 167 grams (5.9 oz). The incubation (keeping warm) period lasts for 28 – 40 days. The chicks fledge out after 120 – 125 days. These birds become mature after 2 – 3 years old. These ducks predominantly feed on skuas, caracaras, giant petrels, foxes, molluscs, crustaceans, small fish, small insects, and snails. loved this page, but I took a photo of a pair of ducks this morning, but still cant find the name of them. 1. Do they migrate within the country or to some other country. 3. how much distance they travel and in how many days. Would be greatful to the person providing the above information asap. thanks !! which is the duck from the thumbnail!